Any judgement of the working class as negative (waste, excess, vulgar, unmodern, authentic, etc.) is an attempt by the middle-class to accrue value. That is what the representations of the working-class should be seen to be about; they have absolutely nothing to do with the working-class themselves, but are about the middle-class creating value for themselves in a myriad of ways, through distance, denigration and disgust as well as appropriation and affect of attribution. There is a phrase I have heard on the first day of classes for the past decade, ever since-for ice breaking as much as informational purposes-I began asking my undergraduates, "What do you listen to?" Now, every semester, it issues from students of various sorts, a line so familiar as to be recognized by all, even when mumbled hurriedly by the shy and self-conscious: "Anything but country." In discussions of popular music on campuses throughout the Midwest and in the Northeast, mid-South, and Deep South, college students have told me that this phrase prevails (it is the standard answer, one Alabama undergraduate attested) in response to questions about listening preferences-questions, as the students well know, that get at who one is and wants to be. The same "ABC" formula circulates off campus, too, among adults out in the world, when they are asked to declare their musical tastes. Indeed, across generational groups, country stands out as a music that Americans are often at pains to exclude in these culture-focused moments of social self-construction. This chapter asks what is going on in such instances. Why is "Anything but country" such a common refrain? Who invokes it? What does it mean? And is it really about the music? My approach to these questions begins with an investigation of the meanings of country music-meanings not from inside the songs (the subject of chapter 2) but from outside. That is, I begin by examining the meanings that attach to country music as a cultural category and brand. Long heard as an affront by those targeted with it, the word hillbilly marks one as being from the country, originally, from Appalachia, and it bears connotations of ignorance and lack of sophistication. Notably, "hillbilly" was also for thirty years the standard industry label for the music now known as country. The music's name change to "country and western" in the 1950s recognized hillbilly's derogatory status, but it was not a complete image makeover. Country audiences are still associated with white working-class, provincial, and southern identities, as well as ignorance and, in recent decades, bigotry. Bryson's 1996 empirical study yields perspective on the social meaning and function of country music in late capitalist U.S. society. The study confirms previous research finding that high-status individuals no longer brandish cultural capital by the means that reigned throughout most of the twentieth century-that is, narrow, exclusive involvement with classical music and "high" culture forms uncontaminated by mass culture. George Jones and Tammy Wynette's couplet "Our Bach and Tch'ikowsky / Is Haggard and Husky" stands as a relic of that defunct cultural order, serving in "(We're Not) the Jet Set" (#15 1974) as one musical metric among others-of geography, transport, food, society-that gauged the distance between the exclusive "jet set" and the less distinguished regular folk. By contrast, in the current cultural system (solidified since the 1980s), entitled middle-class subjects wield multicultural capital through knowledge and engagement in a broad range of global musics-deploying them as "potential ingredients in a singular and singularly distinctive cultural mix . . . [that] signals a high level of educational attainment, untrammeled access to cultural goods, and command over the time and resources necessary to master a variety of social and aesthetic codes." As I mentioned above, the new system of distinction-by-inclusion depends on crucial exclusions. The "cultural omnivores" in Bryson's study expressly excluded the categories of music associated with the least educated audiences, including country (published research identified country audiences as lacking in education and occupational status as early as 1975). In the light of her findings, a taste declaration like "Anything but country" appears first and foremost as a gesture of social exclusion. Musical exclusion is secondary, a vehicle and symptom. And so, a half-century after shedding the "hillbilly" designation, country music continues to trail a phantom hillbilly. Country's cultural meaning remains tethered to the image of a certain kind of social subject. It is a figure stigmatized by ignorance and constitutive-by its exclusion-of middle-class status and entitlement. The racial and class (and sometimes geographic) designation "hillbilly" is one sign under which this figure is known. There are others, as we shall see. In the waning days of summer 2011, Foo Fighters, a celebrated, long-established alternative rock band fronted by Nirvana veteran Dave Grohl, released a video to promote and kick off a North American tour. Their tour promotion video "Keep It Clean (Hot Buns)" consists of two main scenes, both set in a truck stop. The first scene takes place in the truck stop diner, where the band's "faux country" song "Keep It Clean" plays on the P.A. system.The song is a broad parody of country music, sung in a voice as close to bass-baritone as Grohl can manage-with a phony drawl, references to "Momma" and "Daddy," steel guitar flourishes, and other musical and linguistic markers that signal country, southern, redneck, and hillbilly tropes in popular culture. "Keep It Clean (Hot Buns)" weds sonic and visual parody to a mash-up of hillbilly, cowboy, and redneck identity. The video features band members costumed as "redneck truckers," according to the gay news site the Advocate. Alternately, they are "hillbilly cowboys," by Huffington Post's account. Using still another term to describe the costuming, the music magazine Spin invoked the slur white trash. In fact, it is impossible to untangle redneck, trucker, poor white, hillbilly, cowboy, and country music images in the video. And that is consistent with the way these images circulate in American culture, in a muddled blur of stereotypes that also at times includes fundamentalist Christian, racist, and homophobic elements as markers of provincial white working-class identity. My own label for the band's performance practice here borrows the name of Jed Clampett from The Beverly Hillbillies, combines it with the concept of blackface minstrelsy, and designates Foo Fighters' production as an instance of Jed-face (figure 2). 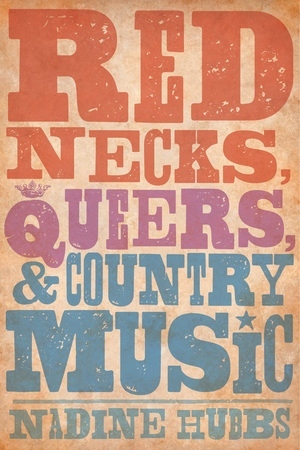 In her provocative new book Rednecks, Queers, and Country Music, Nadine Hubbs looks at how class and gender identity play out in one of America’s most culturally and politically charged forms of popular music. Skillfully weaving historical inquiry with an examination of classed cultural repertoires and close listening to country songs, Hubbs confronts the shifting and deeply entangled workings of taste, sexuality, and class politics. In Hubbs’s view, the popular phrase “I’ll listen to anything but country” allows middle-class Americans to declare inclusive “omnivore” musical tastes with one crucial exclusion: country, a music linked to low-status whites. Throughout Rednecks, Queers, and Country Music, Hubbs dissects this gesture, examining how provincial white working people have emerged since the 1970s as the face of American bigotry, particularly homophobia, with country music their audible emblem. Bringing together the redneck and the queer, Hubbs challenges the conventional wisdom and historical amnesia that frame white working folk as a perpetual bigot class. With a powerful combination of music criticism, cultural critique, and sociological analysis of contemporary class formation, Nadine Hubbs zeroes in on flawed assumptions about how country music models and mirrors white working-class identities. She particularly shows how dismissive, politically loaded middle-class discourses devalue country’s manifestations of working-class culture, politics, and values, and render working-class acceptance of queerness invisible. Lucid, important, and thought-provoking, this book is essential reading for students and scholars of American music, gender and sexuality, class, and pop culture. Nadine Hubbs is Professor of Women's Studies and Music, Faculty Associate in American Culture, and Director of the Lesbian-Gay-Queer Research Initiative (LGQRI) at the University of Michigan; she is the author of the award-winning book The Queer Composition of America's Sound: Gay Modernists, American Music, and National Identity (UC Press). "One of the most important scholarly discourses on country music of this decade." 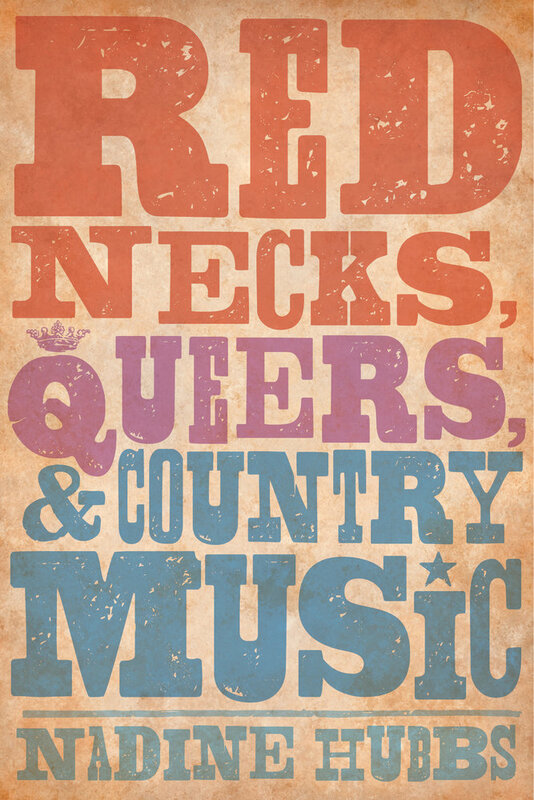 "The implications of Rednecks, Queers, and Country Music go far beyond the social and sexual politics of a popular music form. . . . With a light and confident hand and an eye on historical context . . . [Hubbs] makes a strong plea for the redneck and the queer—not necessarily always different people—as significant and positive actors in American life." "Academics don’t pay enough attention to class. . . . Nadine Hubbs . . . makes the case for paying more attention . . . , suggesting the potential for real political collaboration between the working and the middle classes." "Opens up a conversation about class that’s long overdue." "An important book that is . . . as much about moral questions as it is about political, social, and cultural concerns. Our challenge is now to act upon the kind of fortitude and consciousness of resistance the author finds at the heart of working-class culture."